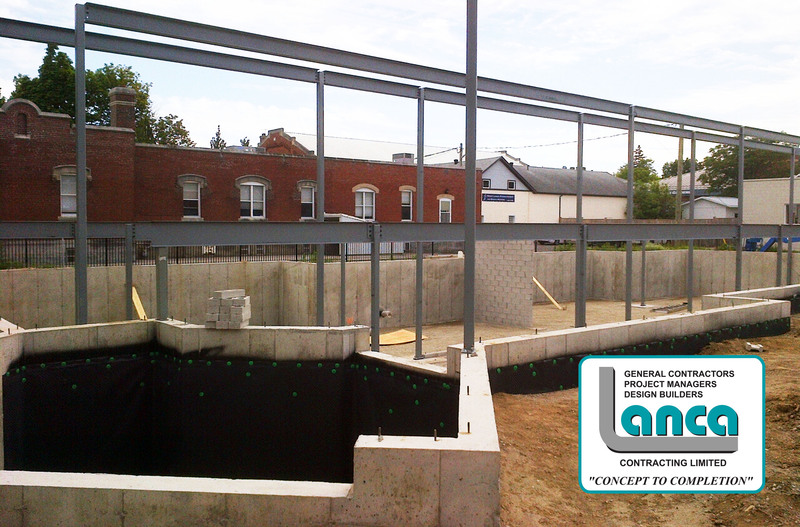 Greenfield Dental Clinic – LANCA Contracting Ltd.
Lanca Contracting has been awarded the contract to construct a new Greenfield Dental Clinic in Simcoe, Ontario. The new 2 level dental clinic will have 10 treatment and hygiene rooms, handicap lift, stone and stucco exterior wall finishes, aluminum window frames and glass to SP 10 requirements. Roof top heat/cool units for upper floor and split system for lower floors. Parking for 12 vehicles will be complete with 2 handicap parking locations. Construction is underway and completion is scheduled for January 2016.